Satellite images from last week show movement at North Korea’s main nuclear site that could be associated with the reprocessing of radioactive material into bomb fuel, a U.S. think tank said on Tuesday. Any new reprocessing activity would underscore the failure of a second summit between U.S. President Donald Trump and North Korean leader Kim Jong Un in Hanoi in late February to make progress toward North Korea’s denuclearization. Washington’s Center for Strategic and International Studies said in a report that satellite imagery of North Korea’s Yongbyon nuclear site from April 12 showed five specialized railcars near its Uranium Enrichment Facility and Radiochemistry Laboratory. It said their movement could indicate the transfer of radioactive material. The U.S. State Department declined to comment on intelligence matters, but a source familiar with U.S. government assessments said that while U.S. experts thought the movements could possibly be related to reprocessing, they were doubtful it was significant nuclear activity. Jenny Town, a North Korea expert at the Stimson Center think tank, said that if reprocessing was taking place, it would be a significant given U.S.-North Korean talks in the past year and the failure to reach an agreement on the future of Yongbyon in Hanoi. “Because there wasn’t an agreement with North Korea on Yongbyon, it would be interesting timing if they were to have started something so quickly after Hanoi,” she said. Trump has met Kim twice in the past year to try to persuade him to abandon a nuclear weapons program that threatens the United States, but progress so far has been scant. The Hanoi talks collapsed after Trump proposed a “big deal” in which sanctions on North Korea would be lifted if it handed over all its nuclear weapons and fissile material to the United States. He rejected partial denuclearization steps offered by Kim, which included an offer to dismantle Yongbyon. Although Kim has maintained a freeze in missile and nuclear tests since 2017, U.S. officials say North Korea has continued to produce fissile material that can be processed for use in bombs. Last month, a senior North Korean official warned that Kim might rethink the test freeze unless Washington made concessions. 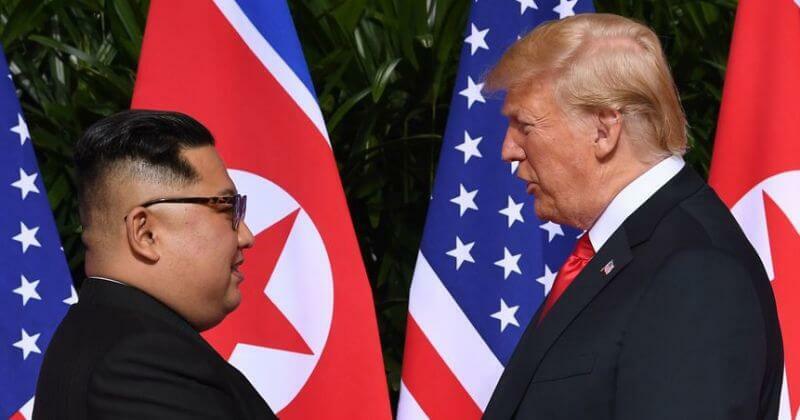 Last week, Kim said the Hanoi breakdown raised the risks of reviving tensions, adding that he was only interested in meeting Trump again if the United States came with the right attitude. Kim said he would wait “till the end of this year” for the United States to decide to be more flexible. On Monday, Trump and his Secretary of State Mike Pompeo brushed aside this demand with Pompeo saying Kim should keep his promise to give up his nuclear weapons before then. Town said any new reprocessing work at Yongbyon would emphasize the importance of the facility in North Korea’s nuclear program.